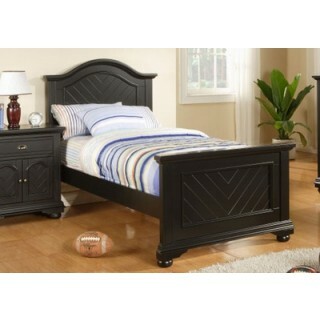 Add an element of subtle sophistication to your youth or spare bedroom with the Brook Black Twin Panel Bed. The bed, with arched headboard, contrasted by a straight lined footboard, features planked detail for visual interest. The Brook Black Twin Panel Bed adds charm, and subtle elegance to your home décor.